Rockstar Toronto is absorbing Rockstar Vancouver. Things are looking tough for the AAA gaming industry. Shipping over a million copies of a title no longer necessarily means a studio's continued success - Kaos Studios closed back in 2011 despite the fact that a sequel to its game Homefront was greenlit later that year, and there was that whole thing with 38 Studios. Joining the unfortunate list of closed studios is Max Payne 3 developer Rockstar Vancouver, which Rockstar Games is shuttering despite its last game's success. Fortunately, Rockstar Games isn't intent on laying off employees - it's closing the studio in favor of expanding its other Canada-based studio, Rockstar Toronto. It has offered all 35 Vancouver employees jobs at the Toronto or any other Rockstar studio. Rockstar Toronto is itself moving to a new, larger office, and Rockstar has stated it plans to add 50 new positions to the studio in the coming months. The expansion is, according to Take-Two Interactive, "being supported by the Ontario government," although financial details are unavailable. Rockstar hasn't said whether the expanded studio will take on a larger role in creating titles - so far Rockstar Toronto has been chiefly supporting other Rockstar divisions, with its last major role being the lead developer on The Warriors back in 2005. 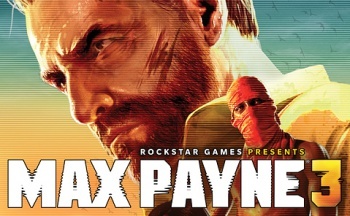 Rockstar Vancouver had only released two titles after being bought in 2002: Bully, which came out in 2006, and of course its second and final game Max Payne 3. While it's good that no one seems to be losing their jobs, it's no small endeavor for the people involved - to put it in perspective, the 2,000 mile trek between Vancouver and Toronto is roughly the same as the distance between California and North Carolina, give or take a few hundred miles. It's not currently known if the team has decided to move to Toronto as a unit or will be spreading to other studios, nor is it quite clear whether the company is funding employees' relocations to their new studios.